All turnkey interior solutions for your new home are available in one place: planning, supervision, finishing works, the purchase of materials, furniture. 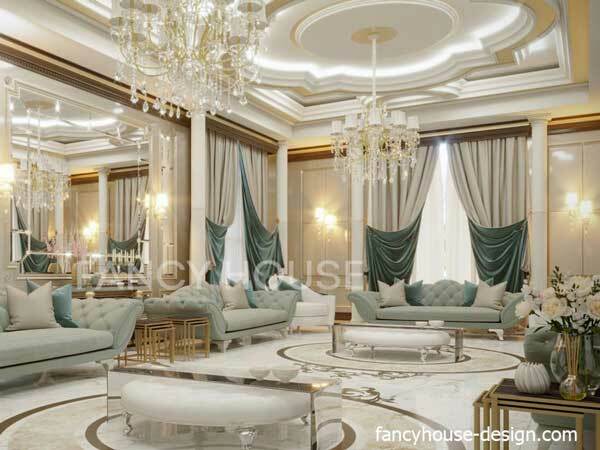 Fancy house is a one of the best interior design & decoration companies in Dubai UAE. 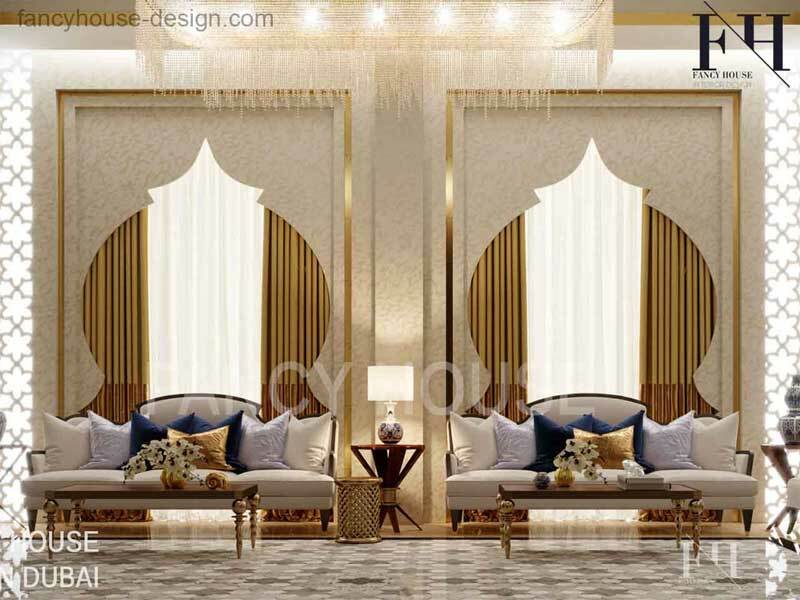 The best interior designers of our studio provide luxury bespoke design and decorating services in Dubai and all around UAE. 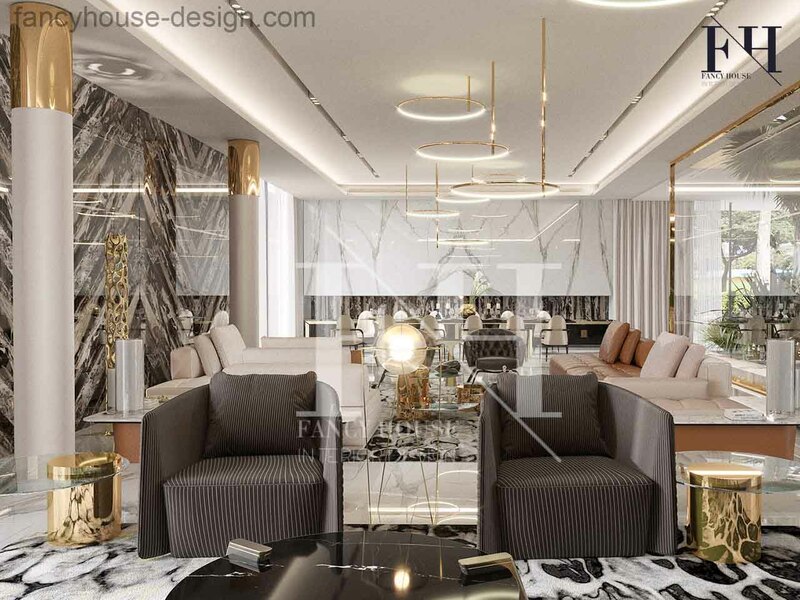 Our scope of turnkey internal solutions includes full range of work from A to Z: creation of unique concept, 3D visualizations, fit out execution, finishing and furnishing of residential homes and commercial premises. We create luxurious indoors solutions in accordance with all the technical, stylistic and individual requirements of the client. We work with any type of residential premises: luxury villas, small houses, apartments, huge palaces. Luxury homes & villas on turnkey basis. We can plan your new house from the land to ready for living space or renovate your existing home to bring to it a new style, shine & conform to live. We do private residential palaces in classical Arabic and European style. Our professional team is ready to decorate a house of any size. Royal decorating for 3k, 5k or even 10 thousand square meters homes. Decorating of large apartments and penthouses in trendy styles. Would you like your flat to feel like a 5-star hotel? Order our turnkey services to bring your dream to the reality. Functional and very stylish commercial objects with proper planning to bring the foundation of a business success. We create a magnificent beauty salons in modern & minimalist, Arabic & Moroccan styles. Planning and indoor decoration solutions for hair, nail, spa, massage salons. We do restaurants and cafe decoration & planning solution in different styles and any space size: from small nice cafe to a large luxury restaurants. Modern planning solutions for offices. 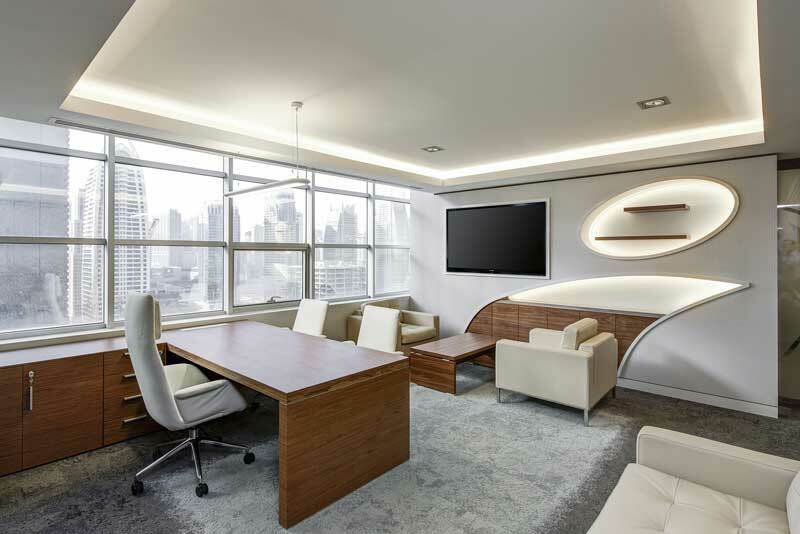 Contemporary open spaces for employees and status offices for managers. Impressive reception area, meeting rooms, conference halls. Need interior design services price list? Check out our prices right here. Look at the marble on the wall that continues outside. It is a new trend of 2019 year to combine the internal and external house parts to a single continuous living space. Review the latest home design project. Have you reviewed hundreds of beautiful photos of interiors and are already confused about the style you like more? 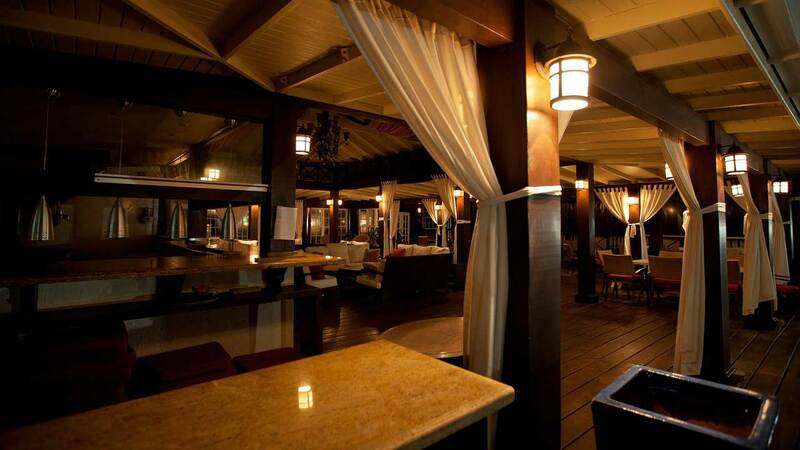 Our designers will help to combine all the ideas to a single harmonious style. We work in the following interior design styles: modern, classic, Arabic (Islamic), art deco, eclectic. Contemporary design with an innovative technologies & materials to be in fashion. Our designers constantly visits exhibitions and meet the best suppliers to bring the brilliant planning and decoration solutions for your home. The modern style consists straight lines, clear forms & clean expensive materials, a minimum of decor. It is very functional, logical and elegant ergonomics solution. Your house will look like a 5 star hotel room: a luxurious & elegant master bedroom with a large comfortable bed and all necessary for a comfortable stay. Traditional Arab arches and ornaments complemented by modern finishing techniques. We are adapting the most interesting elements of a traditional Arab home to the needs of modern life in 2019. Moroccan manner in a house appearance combines Arabic, African and Mediterranean motifs. 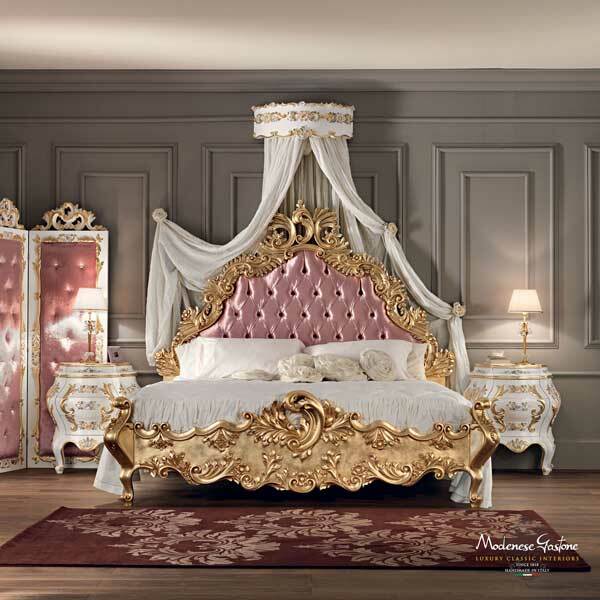 This is a combination of glowing bright beauty, incredible ornaments and very comfortable wide furniture. The classic style of the interior over the years becomes more valuable, and despite the transience of trends in tastes, a classical house appearance remains in demand. Cost of our services are open and presented bellow. 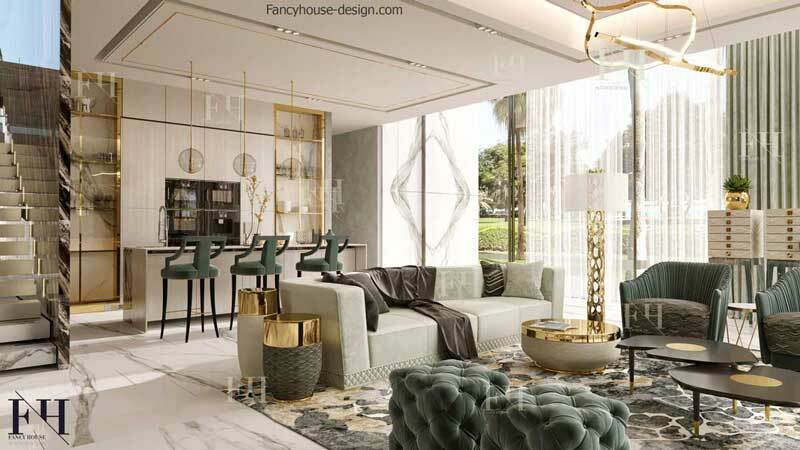 To know how much interior designer cost for your project, just multiply it’s size in square meters by indicated bellow the interior design price. Not sure that correctly counted the cost to design your premise? Fill the form on the right hand with info about your project and get the cost estimation shortly! Do you have any questions regarding our services or you need an advice? Fell free send an email to us. Just fill the form right here.